Question on the Club Carlson card. Is the ‘free night’ on any award stay? Or any paid stay? Or both? The Best Feature of the Club Carlson Card Is That Jill Gets 1 Free Night When She Books 2 or More Award Nights! 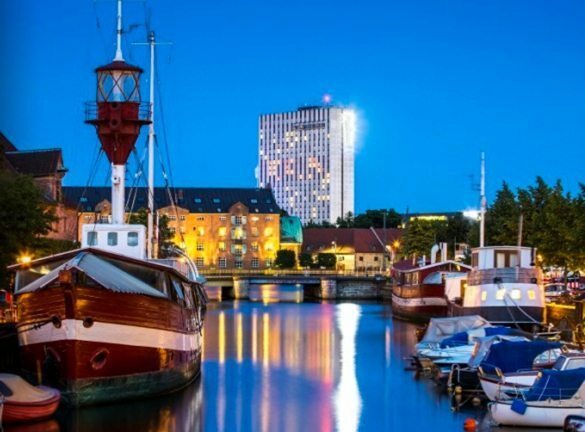 By signing-up for the US Bank Club Carlson card and completing the minimum spending requirements, Jill can earn 85,000 Club Carlson hotel points. Jill Can Easily Earn 88,000 Club Carlson Points With a Bit More Spending on Her Card. 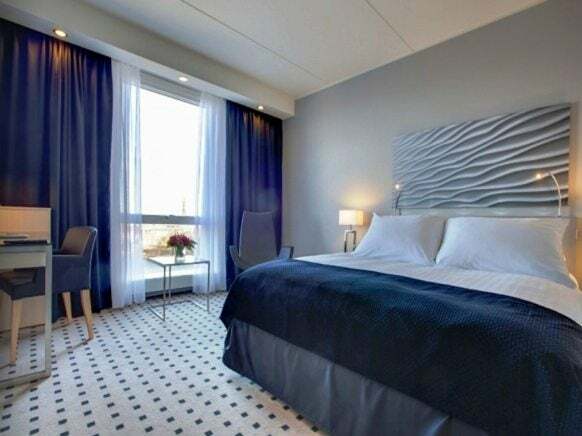 This Is Enough for 2 Free Nights at the Radisson Blu Scandinavia in Copenhagen, Denmark! The $75 annual fee is NOT waived. How Can You Use the Free Night? The free night can only be earned on award stays, NOT paid stays. This benefit alone makes the Club Carlson card worth keeping because it means all of Jill’s Club Carlson points can be worth up to 50% more (if she books her stays 2 nights at a time)! Thanks to the Get 1 Free Night Perk With the Club Carlson Card, Jill Can Turn Those 2 Nights at the Radisson Blu Scandinavia Into 3 Free Nights! The 2 or more award nights must be consecutive. Jill should also keep in mind that she will only get up to 1 free night per award stay. So if she uses her points for 4 award nights, she will still only get 1 free night. And if she books 2 award nights, she will still get 1 free night. That’s because you get your points returned to you for the last night of any award booking of 2 or more nights. The best feature of the US Bank Club Carlson card is that whenever you book 2 or more nights with points, you get your points returned to you for the last night of your stay. However, this perk is only good for award nights and NOT paid stays. To earn the free night your 2 award nights must be consecutive and you can NOT earn more than 1 free night per stay. Thanks for your question, Jill! what happens if I can’t travel (last minute) but had used my awards points to book a 2 nite rewards stay (with one free nite) for my family (wife & kids)? Can they still use it? Can you book consecutive 2 night stays and thus get 3 free nights on 4 night stay ? @Andy R – Not from 1 account, but you and your partner could do that. My boyfriend and I are both cardholders and used this perk for our upcoming Europe trip. We booked 4 nights in London at the Park Plaza County Hall (2 under my card and 2 under his), 3 nights in Stockholm at the Radisson Blue Strand, 2 nights in Oslo at the Radisson Blu Plaza, and 2 nights in Bergen at the Radisson Blue Bryggen. We used it as our every day spend card for a while to earn the extra points and combined our anniversary bonus points as well. They don’t have a lot of offerings in the U.S., but I think they are hard to beat in Europe.